There seems to be a lot of preparations to make before we fly off to Japan, especially since we are bringing small children. Being a typical mom, my first and utmost concern is whether the kids will be warm enough in the cold weather. Will it snow? Have we bought enough winter clothing to protect them from the cold? What creams should I get so our family will not suffer from dry and cracked skins in the freezing temperature? Will they be able to journey on foot or do we have to bring their stroller? Should we get them flu shots before the trip? Secondly, my concern is on our budget. Are we bringing enough cash? Do we have to standby our credit card? Can we withdraw money using foreign ATM machine there? Do we have to bring instant food to save on dine-out / take-away? Will I have enough cash to bring back souvenirs for our family since Japanese retailers largely don't accept credit cards? Lastly, I am contemplating on the luggage to bring - should I get a bigger suitcase for all our stuffs so we don't have to carry too many bags? 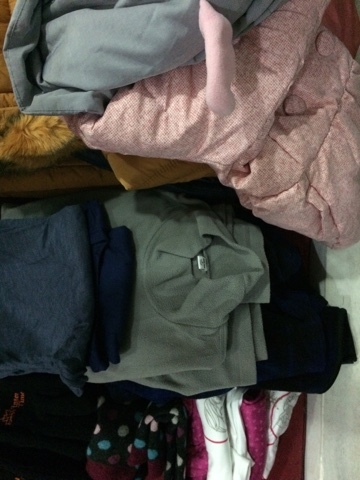 (Already our winter clothes are taking up space in one cabin-size suitcase, leaving us with only one other cabin luggage to stuff our everyday items, toiletries, shoes etc.). Will our baggage allowance be enough or do we have to buy more? I like to take things in stride, so I think of these as part of the excitement of our trip - so many things to get ready before our trip, yippee! Of course, the first thing to do is to do some shopping (I know I will cry buckets when I see my account balance and credit card bills once we return from our trip!). Despite my research earlier, it is still a challenge to get good quality winter jackets at affordable price and the right size, not to mention that Khadeeja refuses to wear anything other than pink, which sadly most her size have already sold out! Then we moved on to moisturizers. 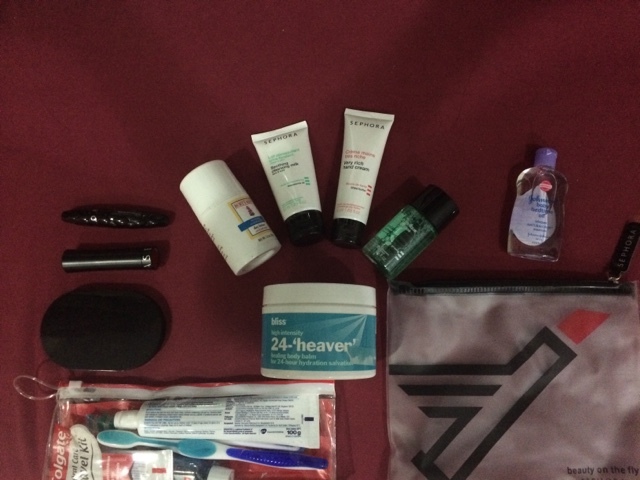 Being a first-time winter traveller (if there's such term), it didn't occur to me at first to get special moisturizer. My ex-boss happened to mention that winter will cause skin to dry and get really itchy so moisturizer is a must! We can get good moisturizer at any good pharmacies but I decided to get ours at Sephora since I need to get a few makeup items as well (I left my makeup kit at home!). For facial cream and lip balm (super important since our faces will be the most exposed to the elements in Japan), I bought Burts' Bees day cream and lip balm. I like the lip balm which is not too 'heavy' and has nice color, but my worry is its performance in cold weather - I sure hope the balm will protect us from chapped lips! The facial moisturizer is another thing though. It is really thick and slightly difficult to apply due to its 'heavy' texture. But I believe it is suitable for the harsh weather later on. When buying the body moisturizer, I opt for a cream that is suitable for dry skin and has both skin repair & protect functions. Khayla has tendency to get really itchy if her skins get dry and most likely will suffer from cracked skin, so protection is a must! We also decided to bring a bigger luggage on top of our a cabin size luggage - this way we can make do with only one checked-in luggage for the four of us with enough storage space for souvenirs when we fly back. Furthermore, if our bag got misplaced, we'll still have spare clothes once we reach Japan. Good thing is we get a really light-weight 28" Hush Puppies bag at 50% off, which is the same price as our cabin size Samsonite bag! 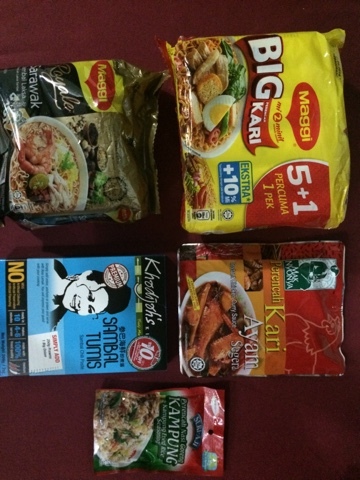 Lastly, we are also bringing instant food so we can save up $$ on food - thank you Maggi, Brahim's, Mak Nyonya and whatnots for these products! Not to forget, our medicines just in case anyone of us falls sick (God forbids). The must-have is paracetamol, flu & cough meds, suppository (for fast relief of high temperature) and inhaler. After all shopping was settled, we hunted for moneychanger outlets with the lowest exchange rate. My advice is not to exchange currencies at the airport since the rate is higher. We found that moneychangers at Masjid India Street offer the best rates so far. 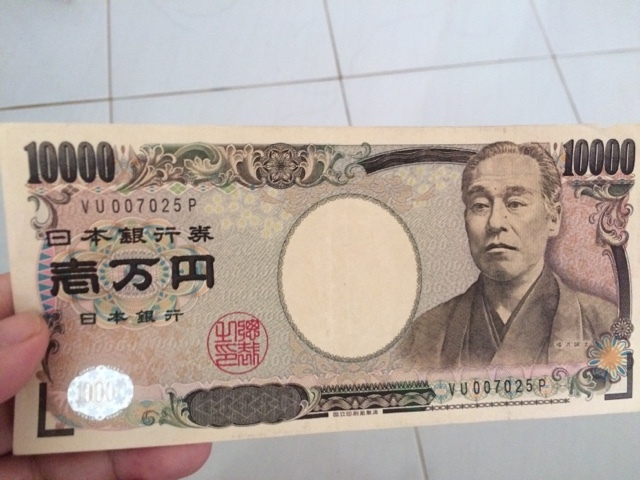 The problem is they keep limited Japanese Yen (in terms of amount and the currency notes - only selling 10,000¥ notes and nothing lower than that) so we had to change at two moneychangers and even had to go back the next day to check if they still have Yen to trade for RM! Just in case the cash we bring is insufficient, I'm planning to call the bank to inform them that I'll be using their credit facilities abroad. This is just an extra precaution if you are worried that the credit card will not work outside of Malaysia (although my bank website states that it's not necessary to inform). Also, if you plan to withdraw cash from ATM machine abroad, you must activate your ATM card through online banking. Important, in case you lost your money!